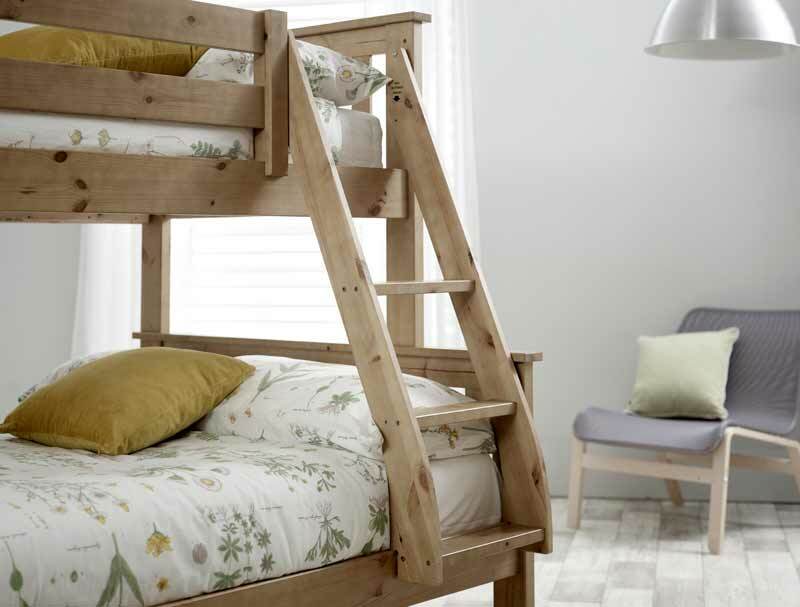 The bedmaster Carra bunk bed is a sturdy bunk bed that offers a double size bed frame on the bottom and a single on top with a sloping ladder . 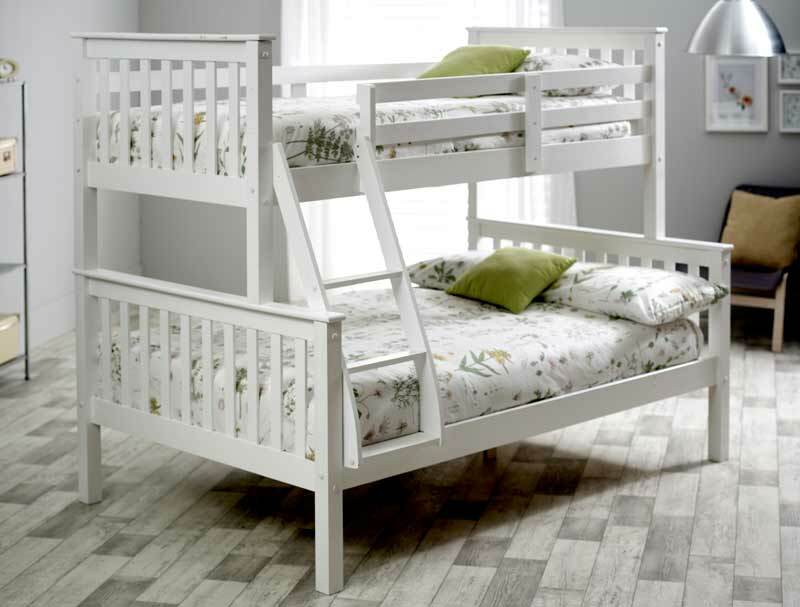 The Carra bunk bed frame is available in pine colour or white painted finish and is made to standard uk size so will take 1 x standard 90 x 190cm size mattresses and 1 x 120cm x 190cm mattress which are extra but available at a package price. 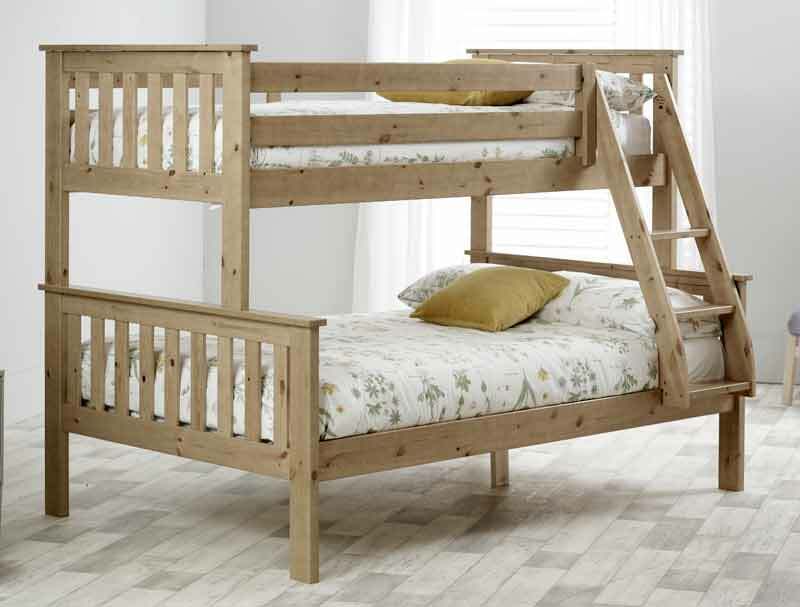 The bed frame is supplied flat packed for home delivery in 3-5 days to most postcodes ( some postcodes will take longer and may cost extra , the bed frame excludes mattresses , but it can be supplied with 2 budget paris mattresses with a single at £60 and a Small double at £70.